A bill empowering the U.S. State Department to aggressively pursue the return of internationally abducted children is headed to the president’s desk after being approved by Congress. 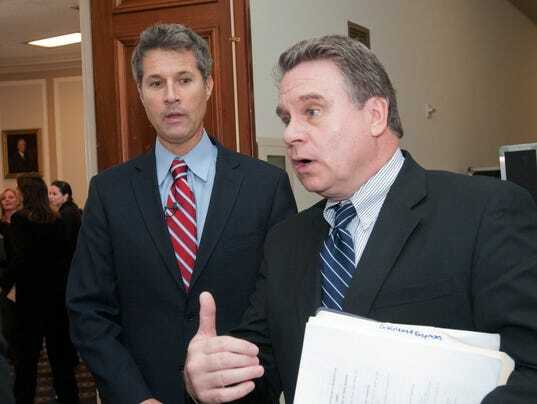 The Sean and David Goldman International Child Abduction Prevention and Return Act, the fourth bill of its kind introduced by U.S. Rep. Chris Smith (R-4), was drafted after Smith became involved with David Goldman’s fight to be reunited with his son, Sean. According to Jeff Sagnip, the congressman’s press secretary, Goldman’s wife absconded with Sean from the family’s Tinton Falls home in June 2004, bringing him to Brazil when he was 4 years old without seeking custody of Sean or legally divorcing Goldman in a U.S. court. She subsequently died in childbirth, Sagnip said, and the Brazilian government held that her partner at the time of her death should maintain custody of Sean. Brazil is a signatory of the Hague Convention on the Civil Aspects of International Child Abduction, but chose to ignore the policies outlined by the international agreement, Sagnip said. The Sean and David Goldman Act (H.R. 3212) would allow U.S. embassies to apply pressure in incremental phases to dissuade governments from ignoring international law and sheltering abductors. Those tools include a private diplomatic protest called a demarche, a public condemnation of the foreign government, the withholding of economic aid and, eventually, demands for the extradition of the abductor. Goldman, who was reunited with his son after five years of heavy investment both financial and emotional, said the passage of the bill provides hope for parents facing the same struggle he did. According to Sagnip, the bill allows the State Department to use the leverage already at its disposal in international abduction cases — leverage that is invaluable to an individual parent who only has so many resources to expend.